Tidying up at my parents' place an old carton box turned up. 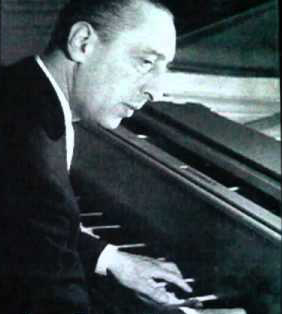 In it was an old microphone, bought by my grandfather who was a professional pianist (picture below). He had the tendency of buying good quality "toys", so I was expecting this to be too good to just throw away. The tiny label on the microphone told me it was an MD421HN and the papers in the box told me it was made by Sennheiser. Time for a bit of research. 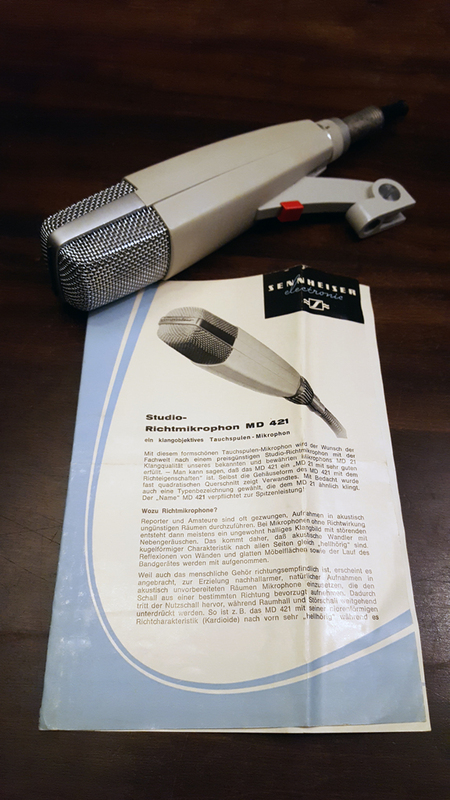 In the box there was an original product information leaflet and a separate leaflet showing accessories (both in German). There was also this intriguing little piece of paper showing - I reckon - the frequency response of this particular microphone. Googling the thing I found out this microphone is still in production albeit in version 2. I saw they are not the cheapest microphones around and considered a classic. So.. what does one do with a 50 years old good quality microphone.. I am not much of a singer.. but maybe I can use it on my radio? Googling a bit further I found that indeed people use this microphone on their radio set and with good results. Someone remarked it was a large improvement over the Heil headsets. I have been using the Heil Elite Pro headset with HC-6 element for a long time now and I am more than pleased. There was absolutely no reason whatsoever to change this setup.. except for the appearance of the MD421. I contacted a few HAMs that had mentioned using the MD421 here and there to figure out how they hooked this microphone up. With the information I got I decided to try and hook it up directly to my ICOM 756 Pro3, using the Heil plug. Yesterday I was able to complete a cable and perform the first few tests. It seems to work. Comparing the audio via the monitor I have found that the microphone needs more drive than the Heil but it seems that with the volume on the set at 100% there is enough audio. There was no time to do on the air tests but I did log two WWFF activators - so people seem to be able to hear me. The microphone has two settings ("music" and "speech") and the set has various settings as well, so I will need to experiment some more and then compare the results to the Heil mic. Whatever the outcome, it is great to put my grandfather's microphone to use again. Hallo Lars, proficiat met je nieuwe aanwinst. Het is een schitterende microfoon die in de jaren 60-70 werd bestempeld als DE studiomicrofoon. Hij kreeg ook de naam "de ijslollie"
Ikzelf werkte bij de ziekenomroep met deze microfoon in de eind zestiger jaren. Kreeg deze bij het afscheid cadeau en heeft daarna nog jarenlang bij de lokale omroep en voor filmproducties gewerkt. Onlangs heb ik hem cadeau gedaan aan PD2LED die hem gaat gebruiken in de shack. Overigens PA2OLD heeft ook zo'n microfoon. Persoonlijk hou ik het bij de vuistmicrofoons hi. Leuk verhaal Hans. Ik moet nu aan de slag om de instellingen van mic en set goed te krijgen.